I am so glad to welcome author Laura Brodie to Book Club Exchange! I absolutely loved both of Ms. Brodie's books that I've read -- THE WIDOW'S SEASON (my review) and LOVE IN A TIME OF HOMESCHOOLING: A MOTHER AND DAUGHTER'S UNCOMMON YEAR (my review), and I consider it an honor that she took time from her busy schedule to write a guest post for my blog. I thoroughly enjoyed Ms. Brodie's essay and I think she brings up a terrific topic that's never really been discussed here at Book Club Exchange -- personal author visits. Ms. Brodie makes some very good points, and I'm curious to hear what you think! Inviting the Author: Is it a Good Idea? Here’s a question for all book club members: Do you enjoy having an author visit your club when you are discussing their book? Or does the author’s presence muzzle honest debate? I wondered about that after my debut novel, The Widow’s Season, was published last June. Over the course of a few months I received more than a dozen invitations from book clubs in my home state of Virginia, asking me to talk to them in person. Other groups in distant states invited me to join them by phone. I was delighted, because I love conversations about books—whether my own books or another writer’s. I’ve been a member of a book club for fifteen years, and as an English professor at Washington and Lee University, I spend a lot of time talking with young people about literature. However, I worried that when I arrived at a new club, everyone would be on their best behavior, and no one would feel comfortable sharing their true opinions about my novel. Of course it’s wonderful to meet with enthusiastic readers, but unanimous appeal is not the goal of most authors. There should always be a few disgruntled voices in each group. I wanted to invite criticism, because the best conversations often emerge when readers disagree about a book, or are made uncomfortable by it. I’m a fan of Jane Austen, so I know that excellent authors can inspire hate, as well as love, and writers can learn much from hearing what readers did not value or understand in a novel. I will always remember the elderly widow at one reading group who chided me for creating a heroine who was not appreciative enough of her husband—a characteristic this woman felt was typical of today’s younger generation of wives. Of course, inviting criticism can be risky. There’s always the possibility that no one in the club will like your book. Before a club invites an author, they should be sure that a few people in the group have read the book and will champion it. But an author’s presence can be valuable regardless of whether or not the club likes the book at hand. Authors can share all sorts of stories about the writing process, the inspiration for their work, and the difficult world of publishers and agents. These touchy issues don’t arise with phone-in conversations. A group can enjoy a half-hour talk with an author, then hang up and hold their private assessment of a book. But telephone contact is no substitute for face-to-face interaction. Three months ago I skyped with a Washington D.C club that included several Asian women who were becoming fluent in English as a second language. One woman, Takako, who was out of town for the meeting, joined our conversation from Japan. It was nice to speak to a reader on the other side of the world, but it was even more thrilling to meet her in person two months later, when I gave a talk at the Politics and Prose bookstore in Washington. I was signing copies of my new mother-daughter memoir, Love in a Time of Homeschooling, when Takako and her friend, Akiyo, walked up and handed me a gift bag full of tea and soap and a lavender sachet. With remarkable grace, they explained how honored they were to meet the author of a novel they had loved, and I replied that the honor was all mine. That book club meeting sparked a moment of human connection that I will always treasure, and so I look forward to talking with other book clubs in the future, and sharing the especially human joy of reading. 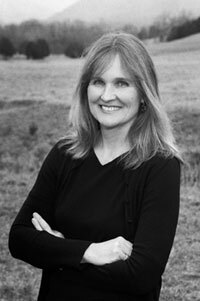 Laura Brodie is the author of Love in a Time of Homeschooling, a memoir that explores one year when she gave her ten-year-old daughter a break from her public school routine. She has also written a novel, The Widow's Season, and the nonfiction book Breaking Out: VMI and the Coming of Women. Laura was born in Columbus, Ohio, and lived in Seattle's Magnolia neighborhood before her family moved to Raleigh, North Carolina. She graduated from Broughton High School in 1982 and attended Harvard College, where her favorite class was a poetry workshop wtih Seamus Heaney. She met her future husband, trumpeter John Brodie, on a Harvard-Radcliffe Orchestra tour. After graduating, she went on to earn a Ph.D. in English from the University of Virginia, and she now lives in Lexington, Virginia, where she divides her time between writing, teaching at Washington and Lee University, and raising three daughters. She is currently working on her second novel. A huge thanks to Ms. Brodie for posing this very interesting question with us. What do you think? Have your book club ever met with an author in person or via telephone? Great guest post! It probably is important to make sure a couple members enjoyed the book before you chat with an author, but I'd never thought of that before! I didn't realize Laura Brodie lives in Lexington. I wonder if I could meet her when I'm at my in-laws - they live about 30 minutes from Lexington. I agree that if there are no members that dislike aspects of a book, it makes discussion difficult...I think there needs to be a dynamic that all opinions are valued even if they are different from others in the group. I love that she wants that discussion in a book club.